The most craveworthy event of the year returns November 16-23 for its 11th year of deliciousness! This Fall, America’s Finest City heats up with vacation packages and getaways to tantalize the taste buds of palates across the country. Over 10,000 food and wine enthusiasts will join Southern California’s largest culinary classic, the San Diego Bay Wine & Food Festival, for a week of gourmet experiences and unforgettable epicurean memories. Featuring over 70 of San Diego’s trendsetting chefs and restaurants as well as over 200 wineries, breweries, and spirit purveyors, the weeklong wine and food festival welcomes travelers with multiple Wine Weekend Getaways and VIP packages currently available. Get your tickets now and start planning your experience today. Partnering with the city’s best hotels to offer luxury hotel and Festival ticket packages, guests will enjoy a 2-night hotel stay and tickets to select events, including wine tasting and/or culinary classes. 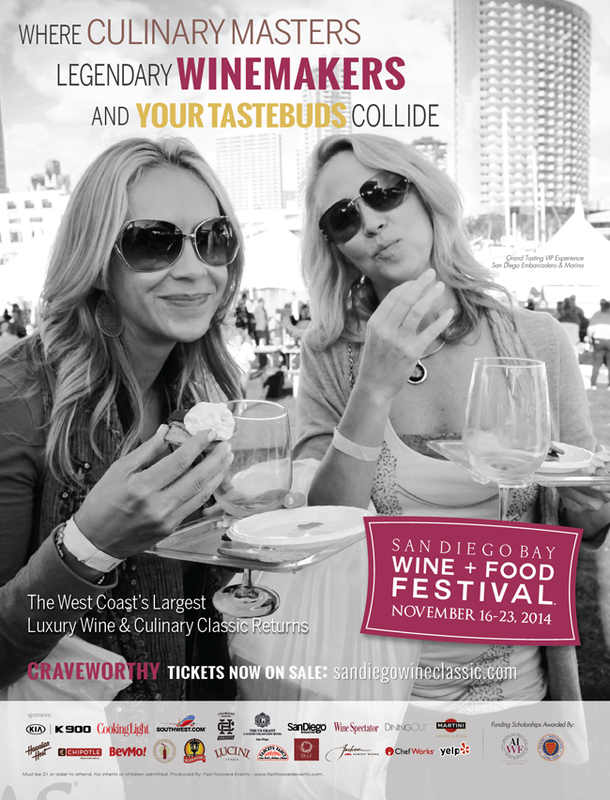 For more information on the San Diego Bay Wine & Food Festival, including ticket purchase and a complete schedule of events and participants, visit sandiegowineclassic.com.